lactation consultation to our families in need of such vital support! After Briana Violand obtained her Bachelor’s degree in Business Administration from Tiffin University in 2006, she quickly found that it was not her passion. It wasn’t until she got married and started a family, however, that she realized what made her whole. With three children, 7 years of personal breastfeeding experience, and countless hours of education and training, Briana officially became an International Board Certified Lactation Consultant (IBCLC)! Briana finds true joy in helping people. And it is her honor and privilege to be a part of some of the most precious moments in a family’s life. Her goals are to educate, share “evidence-based” knowledge, and help each family reach their own personal breastfeeding goals. Breastfeeding is natural and has numerous benefits to both mother and baby, but it is not always easy. 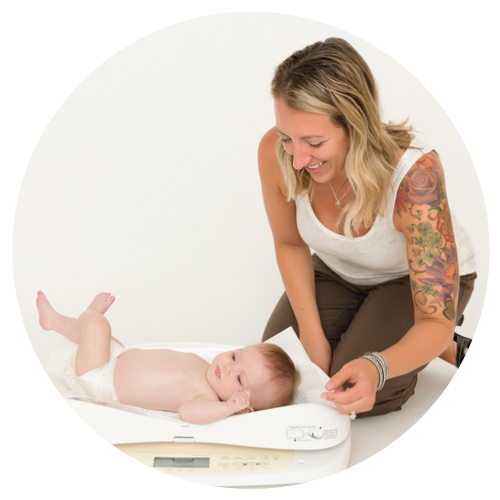 Briana has helped mothers with proper breastfeeding management, latching, positioning, engorgement, oversupply, low supply, plugged ducts, ankyloglossia (tongue-tie), pumping, slow weight gain, IGT and more. provide support, help with latching/positioning, etc. Just wanted to write and say how incredibly helpful Briana was when I reached out to receive help with breastfeeding shortly after my son was born in November. Her prompt response to my request for a visit was so appreciated by my husband and me and thanks to her, we were able to identify a tongue tie and have it corrected that week. She has also answered many follow-up questions via email and text and is so generous with her time and knowledge. Thank you for everything, Briana!